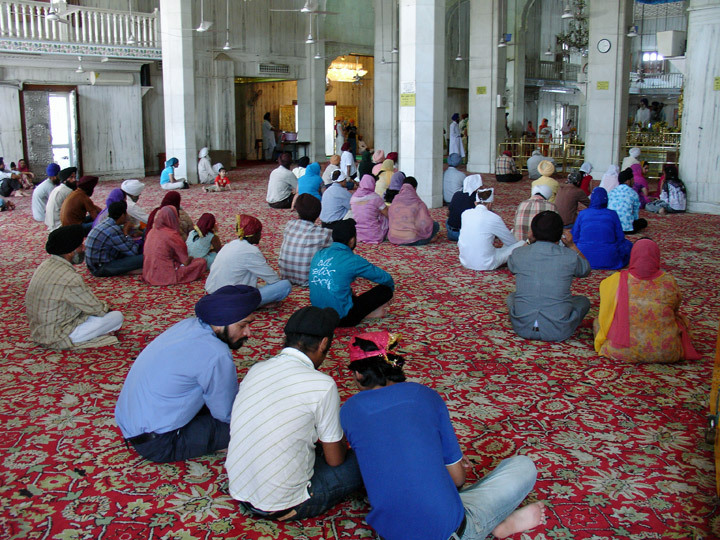 Sikhs, followers of the Sikh religion, centered in Punjab State, in northwestern India. 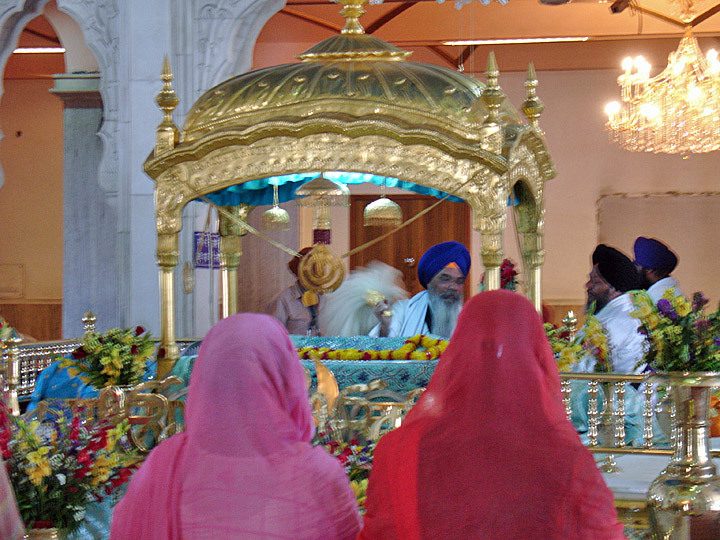 Sikhism is an ethical monotheism fusing elements of Hinduism and Islam. 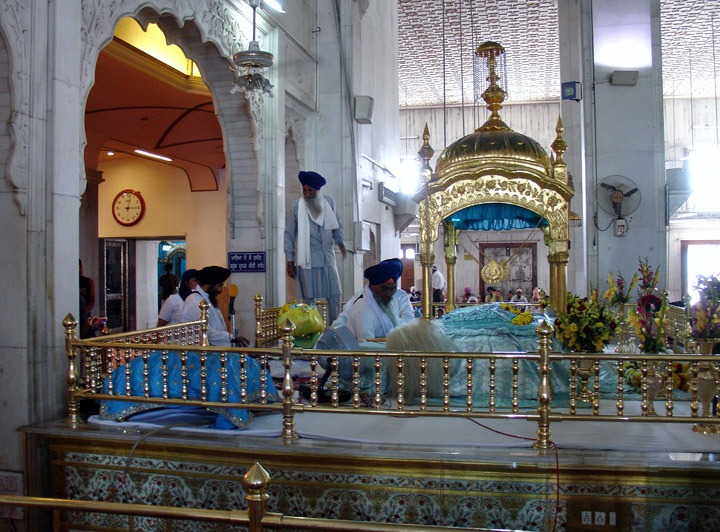 It was founded by Nanak (1469-1539), a mystic who believed that God transcends religious distinctions. 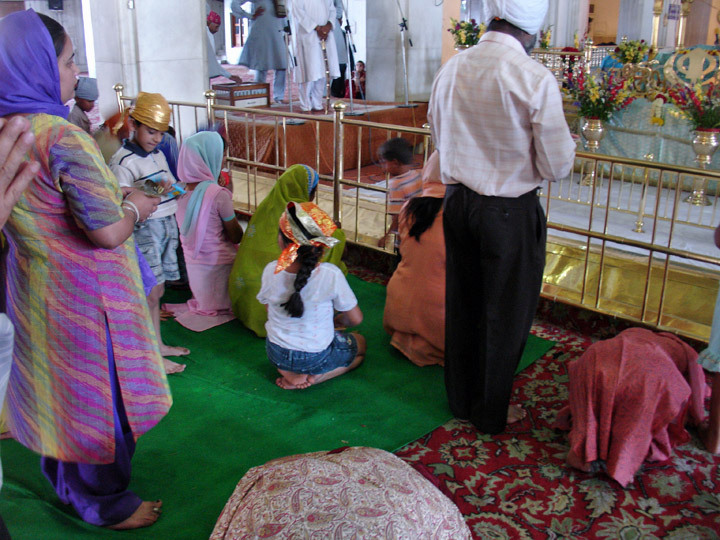 Influenced by the devotional emphasis of bhakti Hinduism and Sufi Islam, Sikhism stresses the unity, truth, and creativity of a personal God and urges union with him through meditation on his title, the Name (Nam), and surrender to his will. It also advocates active service rather than the Hindu ideal of ascetic withdrawal. Loyalty and justice are admired, smoking and intoxicants forbidden. 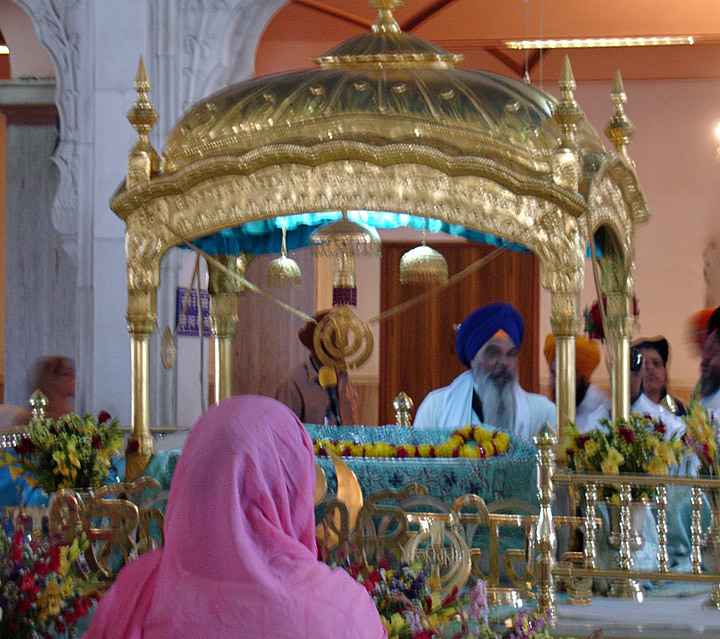 Sikhism also rejects the Hindu caste system, priesthood, image worship, and pilgrimage, although it retains the Hindu doctrines of transmigration and karma. 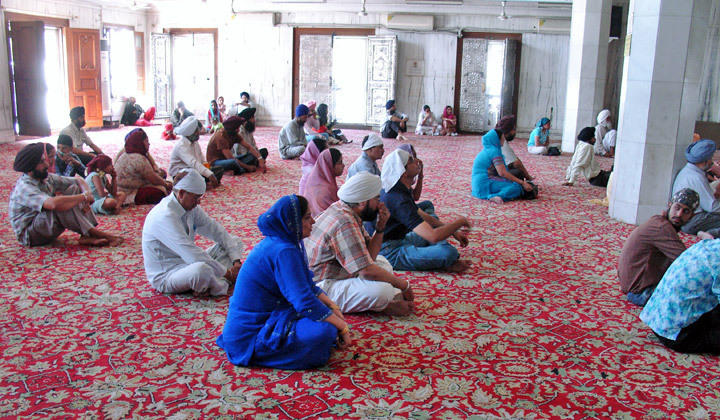 The ultimate spiritual authority is the Adi Granth, consisting of hymns by the ten Sikh gurus (Hindi for "teachers") and Hindu and Muslim devotional poetry in several languages. 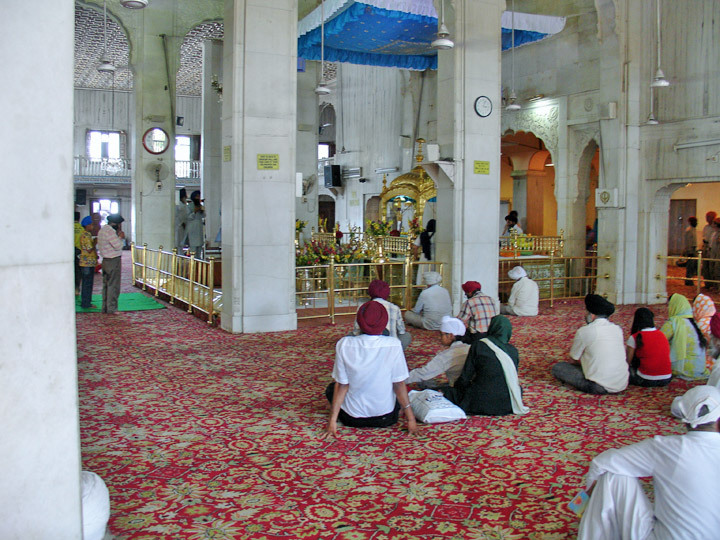 All Sikhs may read the Adi Granth, which is the focus of devotion at the Golden Temple in Amritsar, the Sikh religious center. 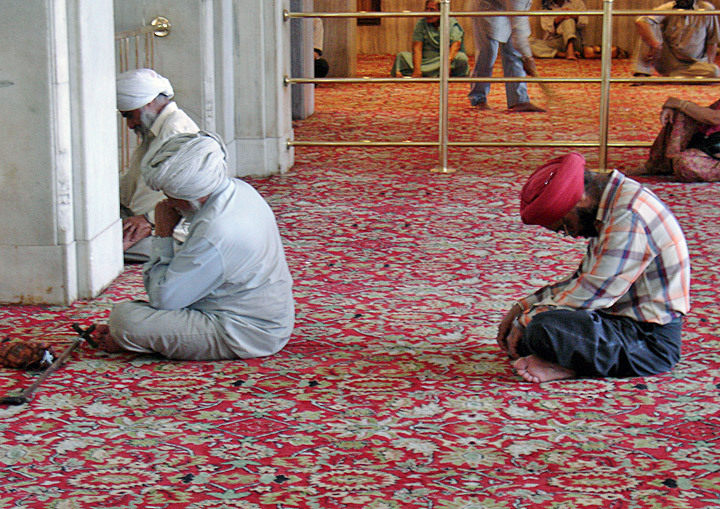 Sikhs are expected to join the Khalsa (Punjabi for "pure"), a religious and military order. 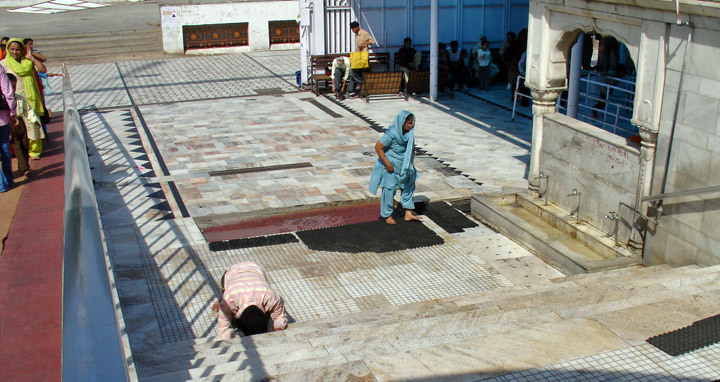 Initiates are "baptized" by drinking sweetened water stirred with a sword, after which Sikh men take the surname Singh ("lion") and women take the surname Kaur ("prince," or here, "princess"). 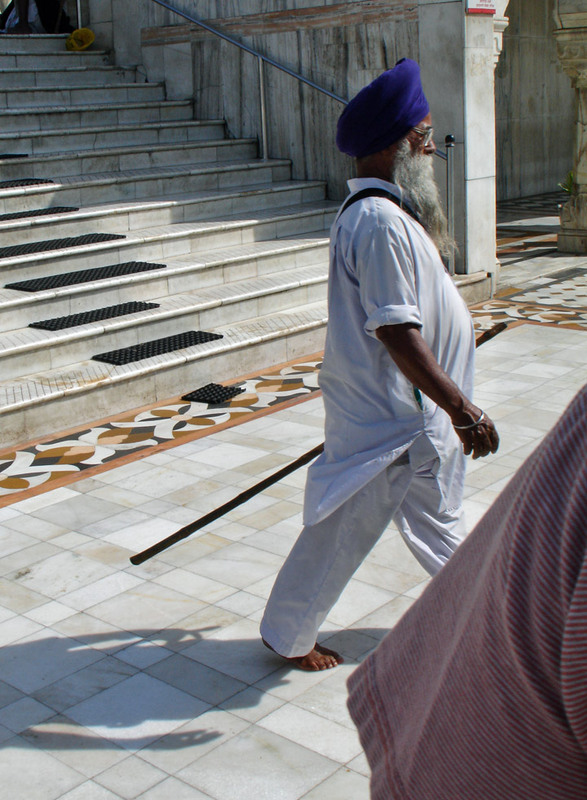 Members of the Khalsa are instructed to observe the five k's: They must wear four symbols of the Sikh faith-soldiers' shorts (kaccha), an iron bangle (kara), a steel sword (kirpan), and a comb (khanga)-and they must not cut their hair (kes). 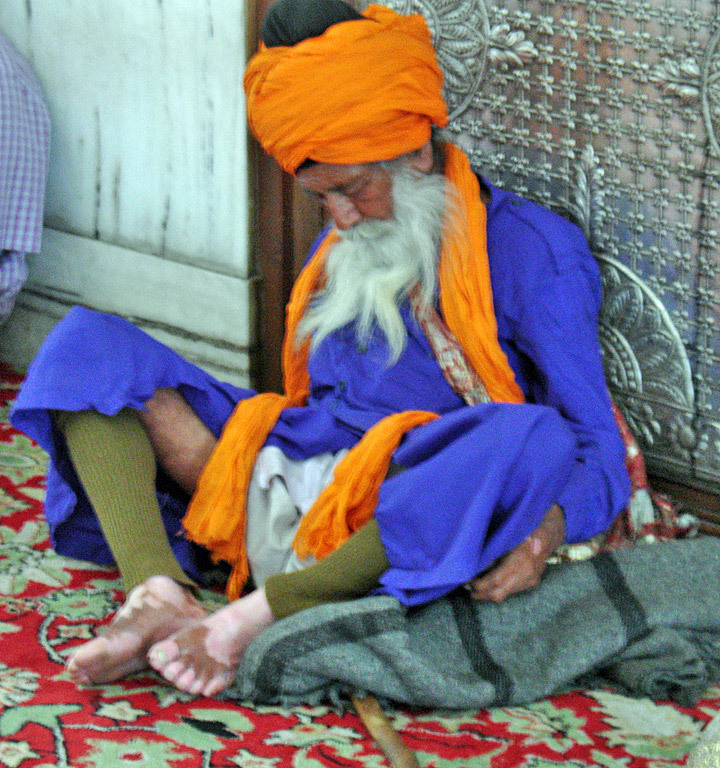 Nanak, the saintly first guru, wandered over India seeking converts. 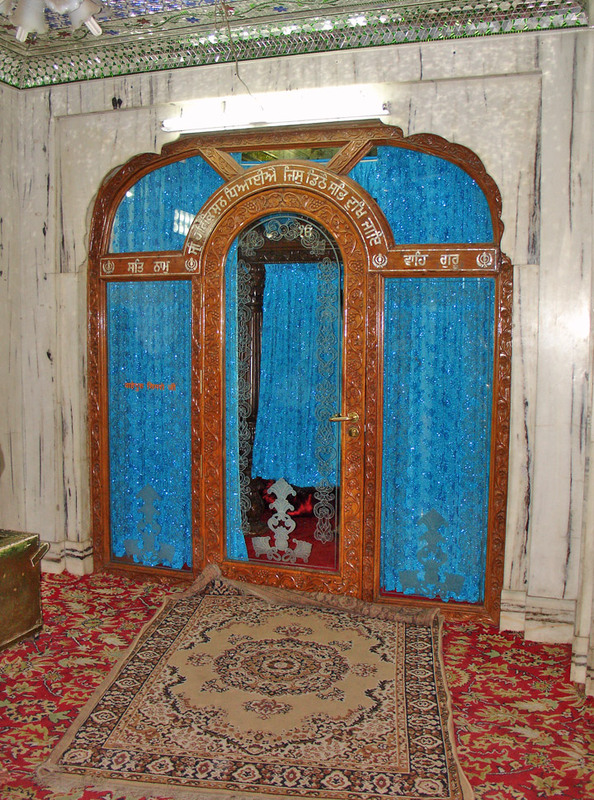 He was succeeded by nine gurus, the office staying within the family line of the fourth guru, Ram Das. 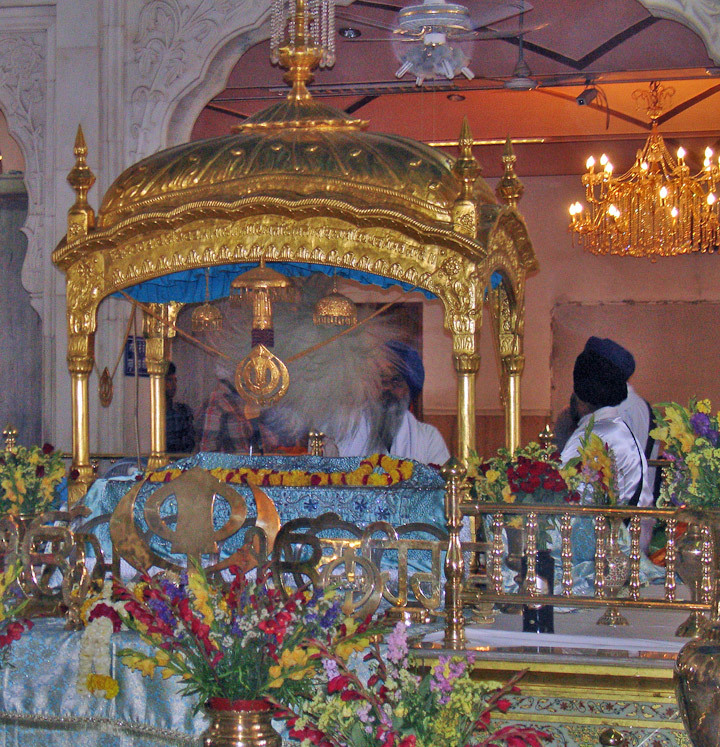 Ram Das was also the founder of the Golden Temple. The fifth, Arjan Dev, compiled the Adi Granth in 1604. 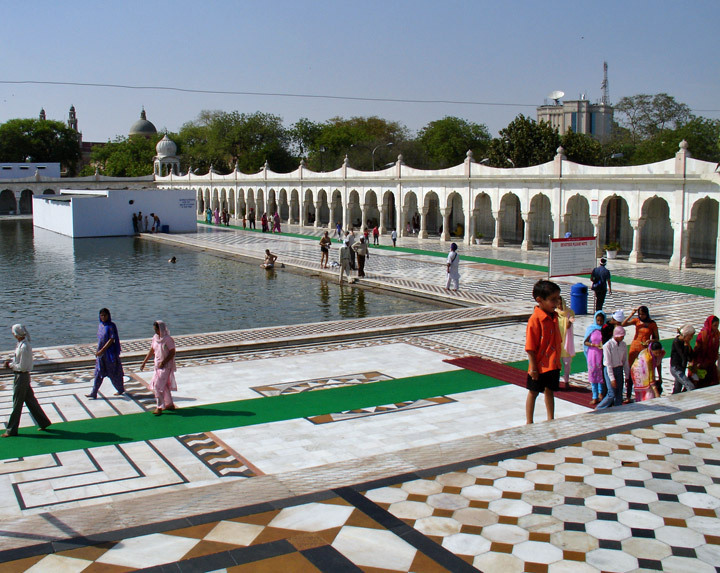 As the Sikhs became a distinct religious community, they took up arms against persecution by Hindus and by Muslim rulers of the Mughal Empire. 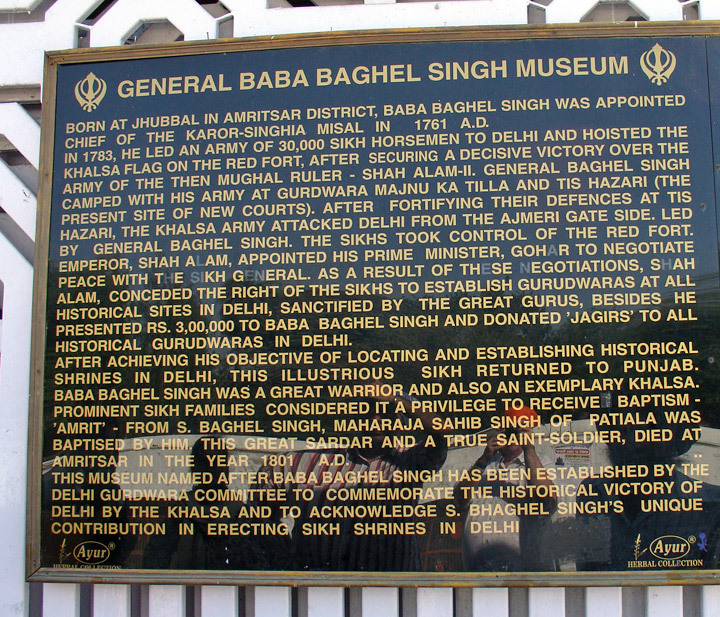 Opposing Mughal tyranny, the tenth guru, Gobind Singh, formed the Khalsa in 1699. During the decline of the Mughals, the Sikhs, led by the warrior Ranjit Singh, created a powerful state in the Punjab about 1800 that eventually threatened British-controlled India. After internal dissension and two wars the Punjab was annexed by the British in 1849. The British governed the Sikhs fairly and, in return for their loyalty during the Sepoy Rebellion of (1857-1859), gave them preferential land grants. 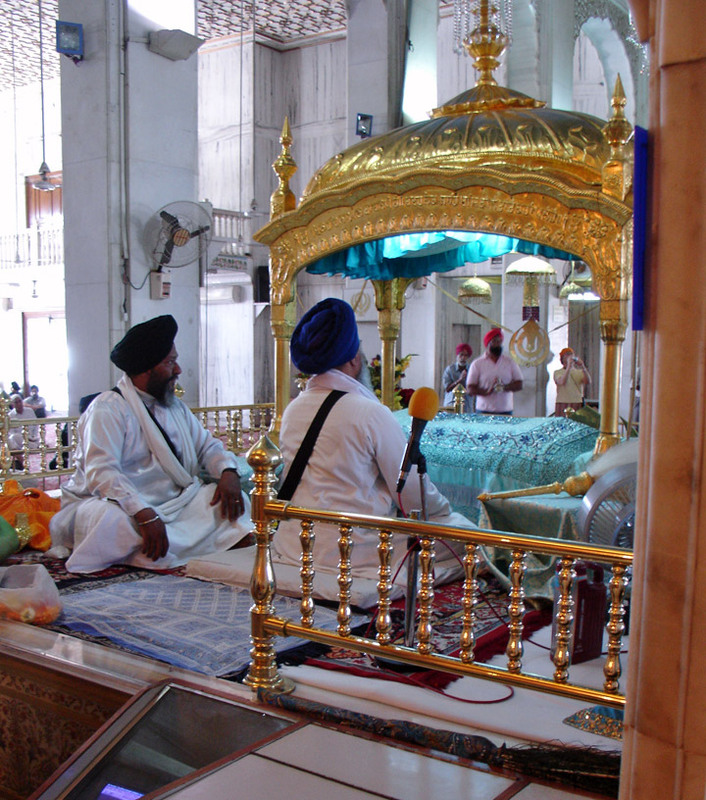 The Sikhs gained wealth and a great reputation as soldiers and policemen. 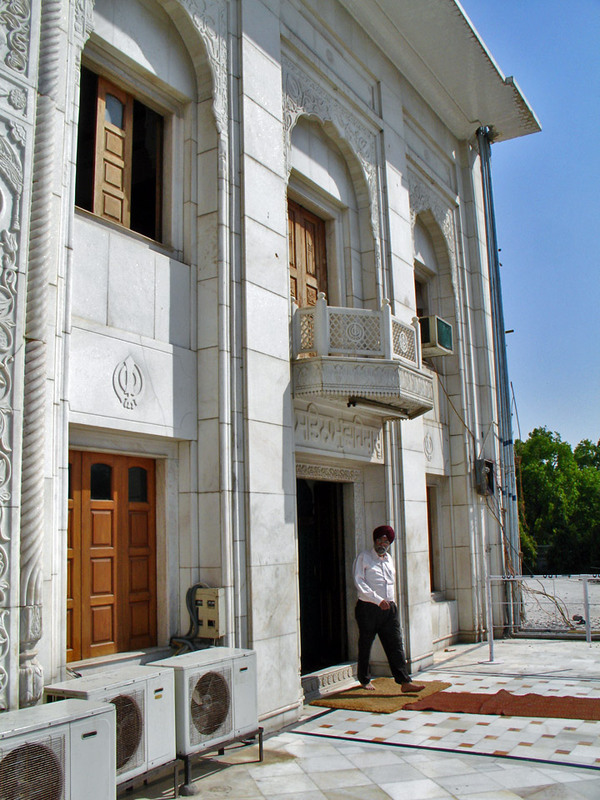 During the creation of an independent India in 1947, the Sikhs lost their privileges and found that Punjab was to be divided between India and Pakistan. 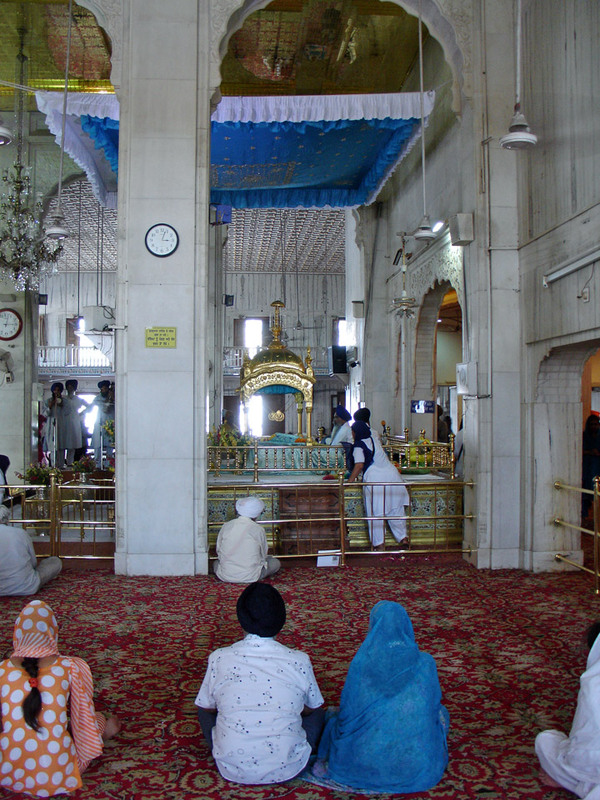 Many Sikhs migrated east to be on the Indian side of the partition. 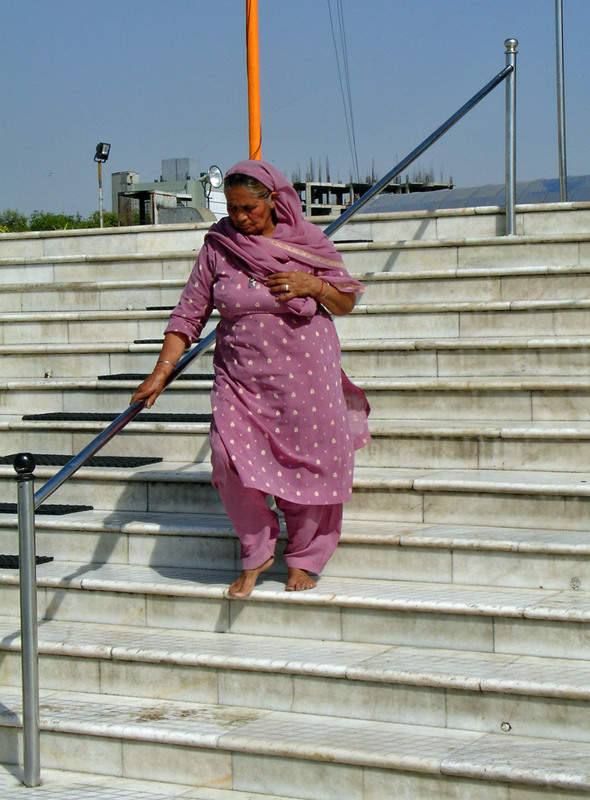 In response to years of agitation, the Indian government created Punjab as a single Punjabi-speaking state in 1966; it remains the home of most of India's more than 16 million Sikhs. 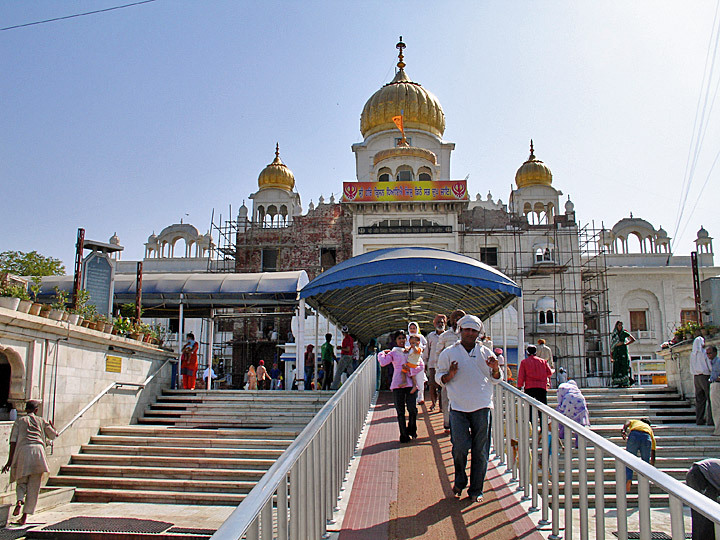 Terrorism by Sikh separatists demanding greater autonomy led the Indian government in June 1984 to send in troops to seize the Golden Temple from Sikh extremists, who vowed to avenge the violence. 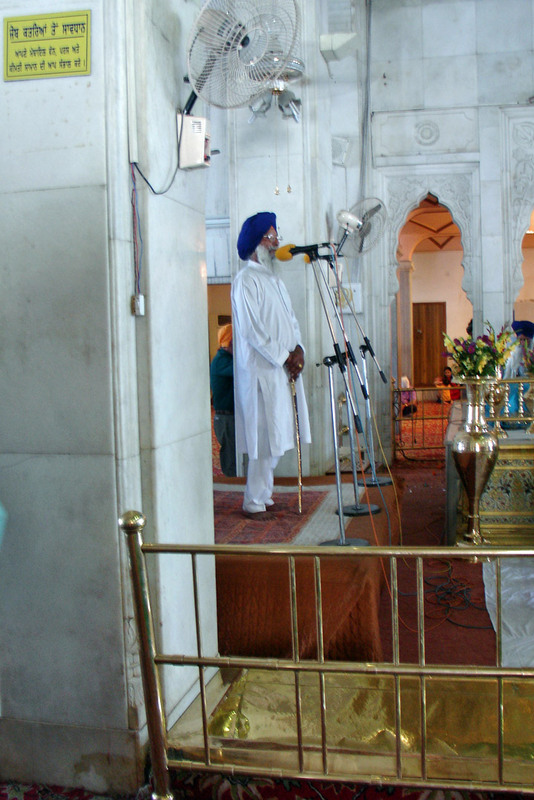 Sikh members of Prime Minister Indira Gandhi's personal guard were implicated in her assassination on October 31. 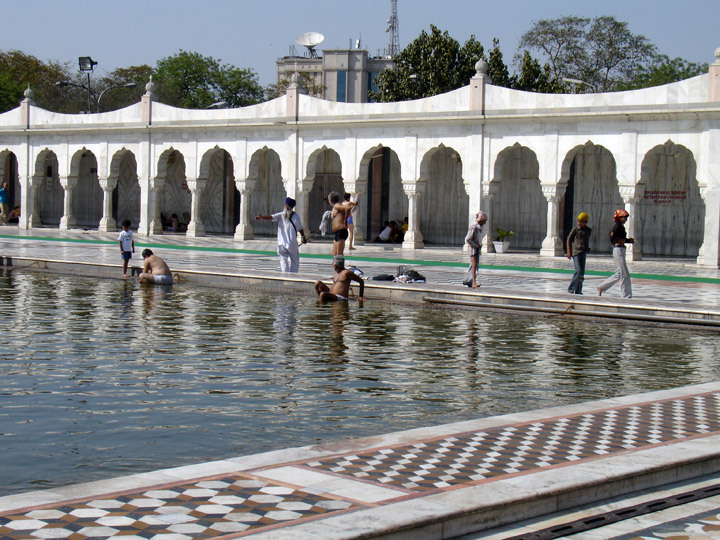 In 1985 an accord was finally reached with the Indian government on expanding Punjab. Sikh terrorists then stepped up their activities, demanding the establishment of a Sikh state, Khalistan. In 1992 the government sent in police and army reinforcements and reestablished its authority in Punjab. 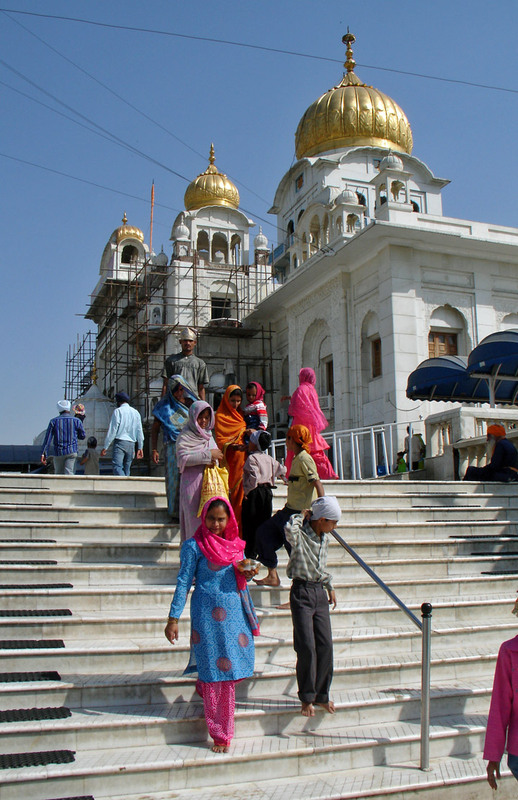 Located in Amritsar, a city in the Punjab state of northwestern India, the Golden Temple serves as the most important house of worship for the Sikhs. 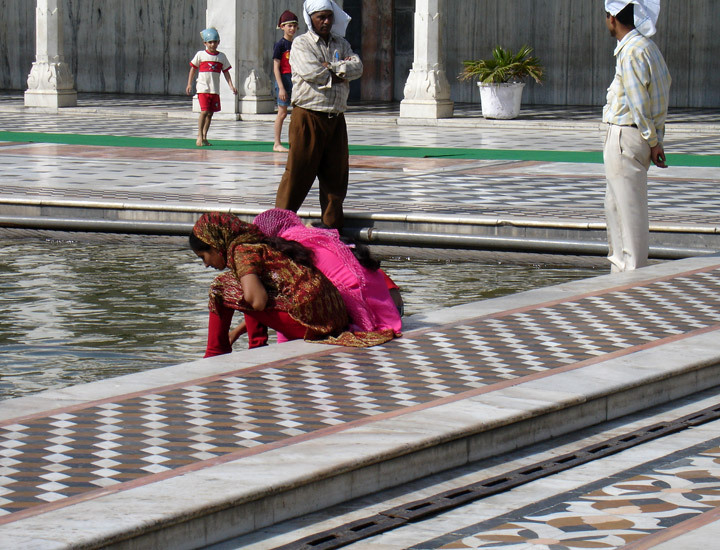 Originally built in 1604, the temple sustained repeated damage from attacks by Afghan invaders. 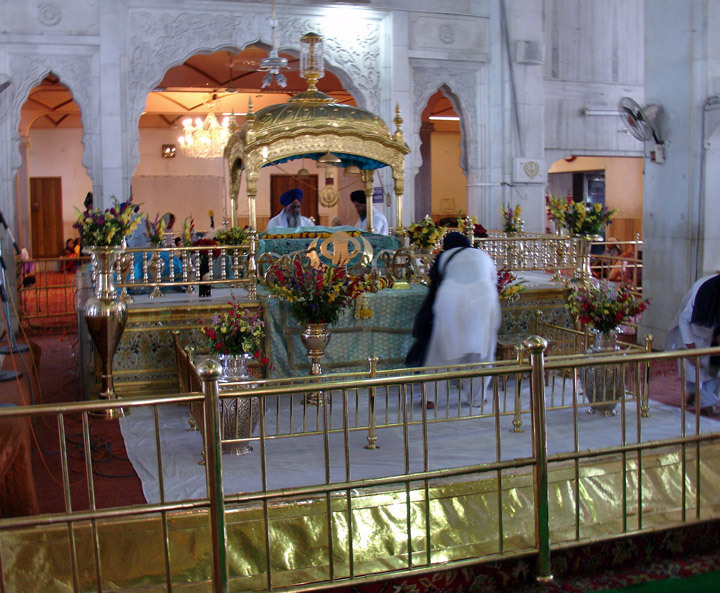 During the early 19th-century reign of Maharaja Ranjit Singh, the temple was rebuilt using marble, copper, and an overlay of gold foil. 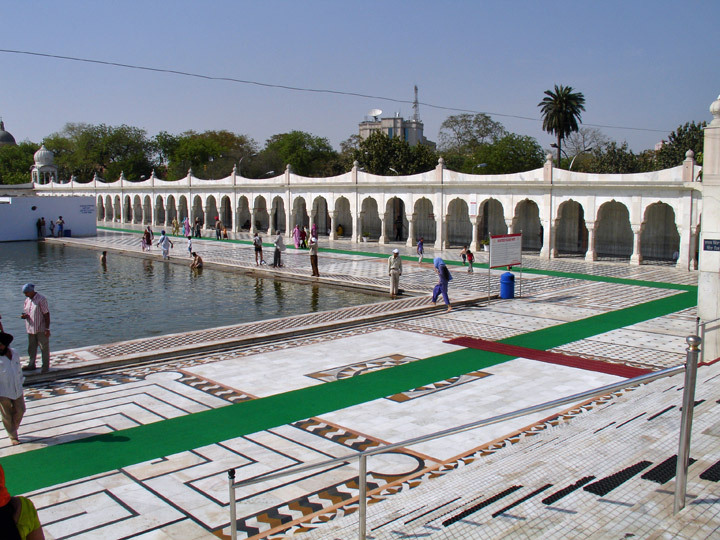 The temple sits on a small island and connects with land on the west by way of a marble causeway, foreground.